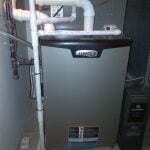 Central air conditioning installation is one job that can make a dramatic change in the overall comfort of your home. At the flip of a switch, no matter what it is like outside, you’ll be able to relax indoors at whatever temperature you choose. Central air conditioning installation is likely to add value to your property, and even save you money on energy bills if it is replacing several window units. 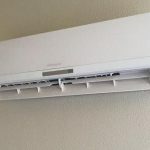 If you’re thinking of installing central air conditioning, there are a few things to consider before you begin the project if you want to get the most for your money, given the cost to convert to central air can be an large initial investment. Knowing your plans for A/C installation will help your service provider give you a more accurate estimate. 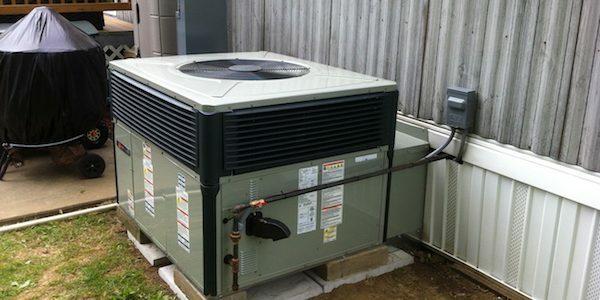 For example, if you are installing a new condenser or heat pump into an existing system, odds are you will want to use the same brand as the older system. Completely replacing your system will call for tearing it out and having it disposed of, which could mean additional cost to you. 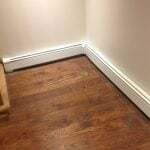 Letting your air conditioning installer know what the situation is like beforehand will give them a better idea of what they’ll be dealing with. 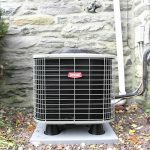 Providing this information will help them to better size up the kind of central air conditioning installation that is best for your home, and allow them to give you a better estimate. If installing A/C is a part of a larger remodeling project, you may be able to save money depending on when the system is put in place. A central air conditioner’s cooling capacity is rated in Btu’s (British thermal units) per hour. As a rough rule you need 12,000 Btu’s for 1,000 square feet of well-insulated space or 400 square feet of poorly insulated space. A house’s structure, window area, sun exposure, and the climate will also affect your cooling needs. 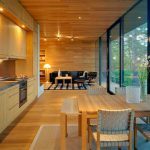 If you have high ceilings, your cooling needs will be different; it takes more cooling power to maintain a comfortable temperature in the house. Talking to a professional about the structure of your home and the most effective way to cool it is a good idea in these situations. Following the suggestions of a person in the know, even if it seems more expensive initially, could end up saving you plenty in the long run. Need to find a pro for your central A/C? 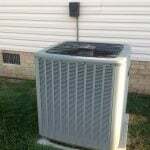 Air conditioners have become increasingly energy efficient in the last decade. If your system’s cooling ability has decreased significantly since it was first installed, you may want to consider having it completely replaced. If your service professional is tying into an existing system, the older system’s age will help determine its compatibility with the newer system. Central air conditioning installation requires access to the home’s heating and cooling duct system. 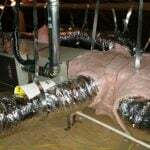 The more open access there is to the ductwork, the less labor that will be involved and the less expensive the project will be. 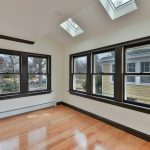 When installing central A/C for the first time, especially in an older home, the amount of space available for ductwork might be extremely limited. 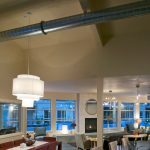 In these situations, mini-duct or ductless air conditioning & heating might be a better option than the effort and alteration it would take to install conventional ductwork for an HVAC system. We Asked the Pros: Are Ductless A/C Systems the Way of the Future?